Six prominent businessmen facing corruption charges in Egypt have offered to make financial reparations totalling some LE2.375bn, with one pledging to return five million square metres of land on the country's northern coast he is alleged to have gained illegally. The men - Ahmed Ezz, Mounir Ghabbour, Hisham Al-Hathek, Hussein Sajwani, Mohamed Abul-Enein and UAE businessmen Omar Al-Futtaim - made these offers during investigations into their business activities carried out by Ali Hawary, the Attorney General for public fund prosecution. UAE businessman Omar Al-Futtaim suggested paying LE1bn to cover the difference between the sum he paid for a plot of land in a deal with the former Minster of Housing Ahmed Al-Maghrabi, and the actual market value of the land, which was much higher. Hussein Sajwani, Chairman of DAMAC Properties, pledged to pay LE150m representing the value of land allocated to him by Zuhair Garana, Egypt's former tourism minister. Hisham Al-Hathek offered to pay LE150m as reparation for his involvement in the same case. Mounir Ghabbour, alleged to have attained land in Cairo's Madinaty for far less than the market price, offered to pay the LE75m difference in value. Mohamed Abul-Enein said he would return a plot of five million square metres of land on Egypt's Mediterranean coast which he obtained at an artificially low price. Public prosecutors have banned defendants from travelling abroad pending ongoing investigations into their business affairs. 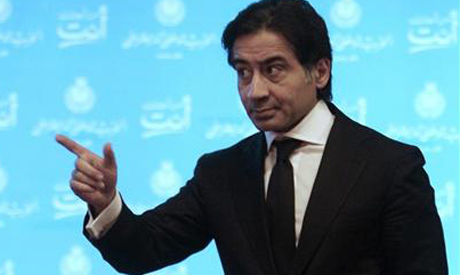 The same measures are being applied to former ministers Al-Maghrabi and Garrana. Looks like a duck, Quacks like a Duck, Smells Like a Duck, probably is a Duck! They should stay in jail! Mounir Ghabbour and Family of Sakkura Hotels consisting of his wife Susan and two son's, the ones that own the Sonesta Cairo and the Marriott and Sakara Travel. They have cheated and stolen many dollars from the people of Cairo through their affiliation with the Mubaraks as they grew up with them. They have cheated and stolen for years and is time they pay the ultimate price and go to jail. Ask them how many houses they own in France, luxury yachts and many other things!